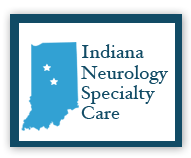 Welcome to Indiana Neurology Specialty Care. As specialists in neurology, our physicians have been fully trained to diagnose and treat disorders of the nervous system. Their holistic expertise and experience includes the central, peripheral, and autonomic nervous systems, the neuromuscular junction, and muscles. Dr. Albert C. Lee and the INSC Physicians also receive ongoing training so that they can remain current in the latest diagnosis, evaluation, testing, and treatment modalities in neurology today. Our physicians are all members of the American Academy of Neurology. Anyone who is experiencing blackouts, dizziness, headaches, memory loss, numbness, tremors, sleep problems, sudden vision loss, or slurred speech could need a neurologist. Or if you already know that you suffer from a neurological disorder such as Alzheimer's disease, a brain tumor, epilepsy, gait disequilibrium, Multiple Sclerosis, Myasthenia Gravis, Parkinson's disease, stroke, or vertigo then contact us for a consultation. We may be able to help you.